We decided to buy a second home in Naples while staying there for the winter of 2018. We knew that we wanted to move into a golf course community, but the number of choices in the area were overwhelming. We started talking to and emailing with Matt Klinowski in May of 2018, knowing that we would not be back in Naples until January of 2019. During that eight-month period, Matt helped us prioritize our requirements for the new home, and identified a handful of golf communities for us to research that matched up well with our preferences. Arriving in Naples on New Year’s Day, Matt had arranged viewings at a number of available properties in four communities. This allowed us to quickly compare and contrast, and within two weeks of arrival, we had identified the home we wanted. We thought Matt was great to this point, but this is where he went well above and beyond our expectations. He handled all of the negotiations with the sellers, helped us find common ground on some potential sticking points, and even contributed greatly during the final walk through. As a result of his efforts, we were able to close on our home on March 1st, less than 60 days after first seeing it. We have bought and sold 7 homes in our 30+ years of marriage, and our experience with realtors had not been stellar. Matt actually made the process enjoyable. He was very knowledgeable of the local real estate market, communicated well throughout the process, and served as our advocate from beginning to end. Although we were there at the peak of the busy season, we felt like we were Matt’s only priority. 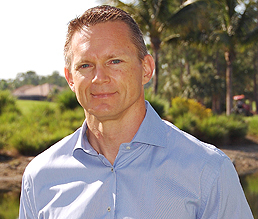 If you are considering buying real estate in any Naples area golf community, you would be more than well served to engage Matt Klinowski as your realtor.